Since the last couple of months, I’m using Google AdSense on my blog to show Advertisements.Google AdSense does really well for my blog and I’m earning a decent amount of money from AdSense. Google AdSense is the Primary Earning source for almost all Newbie Bloggers to get started with.Affiliate Marketing too does well for every Blogger, but AdSense is somewhat simple when comparing to Affiliate Marketing as it requires a lot of Skill and Time.While you are making money with Affiliate Marketing, you can add Adsense along with that to earn extra more income. 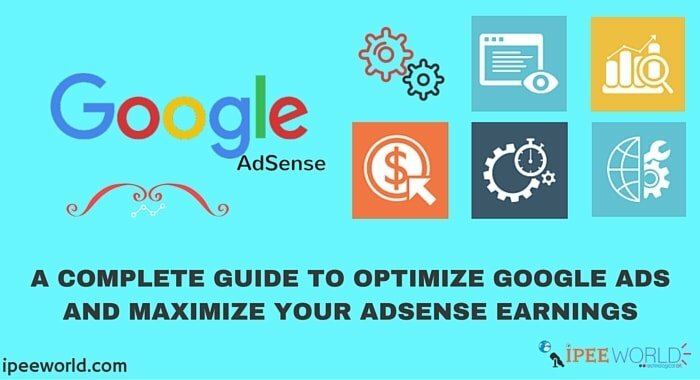 Today in this Article I will be explaining the best methods available to Boost and Optimize your AdSense Earnings without violating any AdSense TOS. Before going in you should understand, what is Adsense Optimization, this means, Increasing revenue from AdSense with existing resources available. Generally talking it means, Increasing your AdSense earnings from your current Traffic itself. Always all Ads won’t perform well in the same location of the page.Text Links at the bottom of the Post Body works great than a Banner Ad.As like this, the Ads Unit you use in your Blog must Suit your Blog Theme/Template and match your Visitor’s interest. Bigger Ad Units like 300*600, 728*90, 160*600, 336*280 and 970*250 ads perform well and the CPC for Bigger and Larger Ad Units are High.In Desktop version of your Website, you should use Bigger Ad Units for getting Maximum Earnings, but for Mobile devices, we can’t use the same Units as what we used in Desktop or Computer Versions. Why go with Bigger Ad Units? Close your Eyes for a minute and Immediately after or in one minute Open your Eyes, Which things did you notice first. Almost 99.9999% of people notices Bigger Things first. 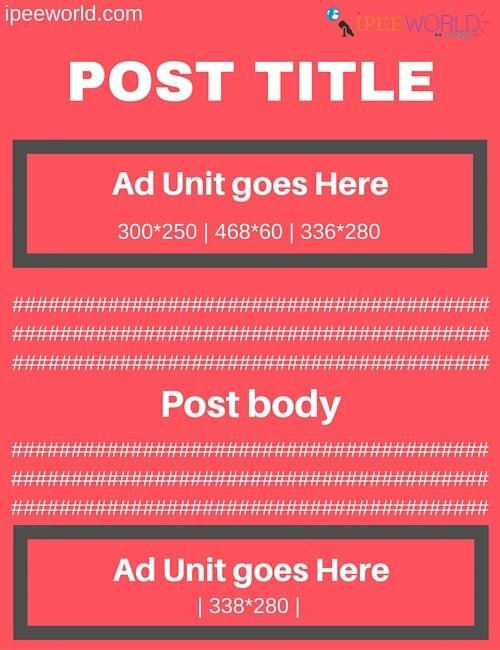 If you don’t know to use which Ad unit in your Website then, you can go with 300*250 ad unit.As this ad unit is best for both Mobile/Tablet and PC/Laptop devices. Finding the Right Ad Placement for getting maximum Earnings is one of the Crucial parts of Optimizing AdSense for Maximum Earnings.We do have a special Tab called “Experiments” for doing Various Tests and find which Ad works perfectly in which Placement in your Blog. Above the fold is the area that loads first when you open a Web Page and this is where the maximum exposure of the Visitor goes into.So, Placing more Ads units Above the Fold can increase your Revenue 200x. It is recommended to use 300*250 or 300*200 Ad units above the fold. Do not use too much big Logo, which reduces the header part area. Make sure that Above the fold loads faster. Some people place more and more Ads in the Sidebar or in the footer section, which is not a good Practise.A visitor comes to your Blog for reading your Content, Adding Ads below Post Title, Somewhere random inside the post and at the end of the Post will be the best Combination available. If your Content is too short, then adding three Ad units in a Post will look ugly and Clumsy, so ,it is not recommended at all. Adding an Ad below the Post Title, Somewhere random inside the Post and At the end of the post will be fine.Also, try to make your post lengthy enough to add those Ads. 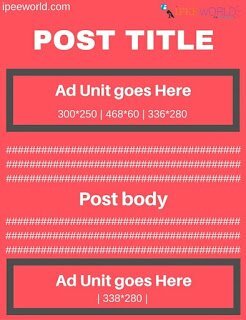 As I mentioned above, use Random Ads somewhere inside the Post to get maximum exposure from the visitor.300*200, 336*280, 300*250 ads perform well inside Post.I will also recommend you to use Link Text Ads at the bottom of the Post, which will perform more that of a Banner Ad. You can do Split Test yourself to find the best position that works for you. WordPress comes with a lot of ready to use plugins. You can use Quick AdSense or Ad Injection to place random ads. Almost all Bloggers are using Default Color Combination given by AdSense itself, You can try Changing the color to match your Blog’ Theme according to Kight or Dark Theme. Generally, AdSense allows 3 Banner Ads, 3 Link Units and 2 Search Units per page for their Publishers.But some Publishers are allowed to place more than 3 Banner Ads in a Page, under some Agreement.It is not that easy to become an AdSense Premium Publisher.Amit Agarwal from Digital Inspiration and Tony John from Techulator are using more than 3 Banner Ads under this Premium Program. You can either use DFP for showing more Ads in your Blog. There are few AdSense certified Partners, Who has Partnered with Adsense and you cans how up to 5 ads in a Single Page.Ad exchange has RTB system which will yield you high CPC and CPM ads. You can join any network who take a flat 8-15% commission of your AdSense Income generated from their ad units. 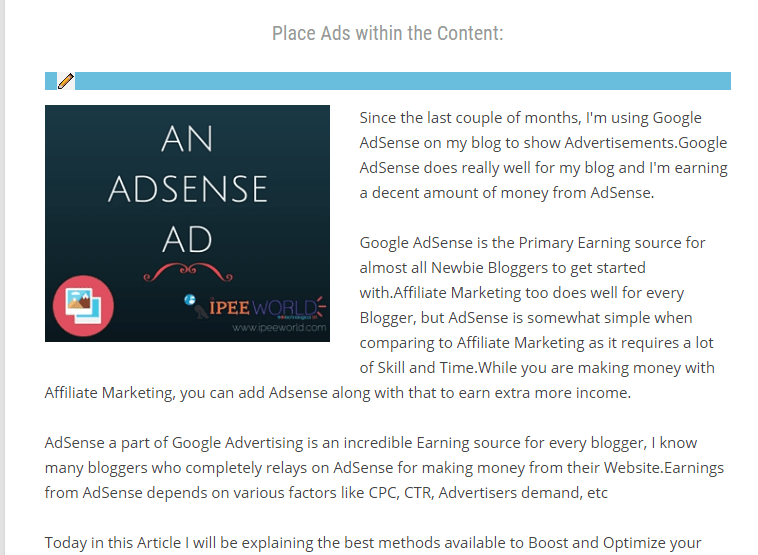 This is one of the best AdSense Certified Program that I have seen.They not only increase and Boost your Earnings but also they show Appropriate Ads from thousands of Network and place it on your Blog. You can show 5 Ads from the day one. If you follow all the above mentioned Instructions clearly, I’m sure that it will increase your AdSense earnings a minimum of 50%.You can try yourself, different methods available and to do Experiments. How To Setup AdSense Page-level Ads in WordPress & Blogger Blogs?